Tuesday, March 19th, 2019 at the Campbellton Regional Hospital, at the age of 80, passed away Mrs. Simonne Johnson of Campbellton, wife of the late Antoine Johnson. She was the daughter of the late Aldéa (born LeBlanc) and the late Robert Borris. 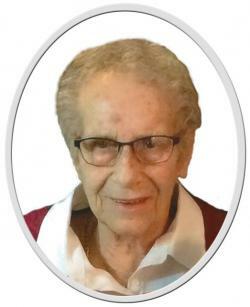 She will be sadly missed by her children: Michel (Rachel Ouellette) of Campbellton, Shirley (Lee Chamberlain) of Moncton and Dianne (Réginald Roy) of Campbellton ; her grandchildren : André-Michel (Jessica Lamontagne), Daniel and Sherrey; her great granddaughters : Magalie and Zoé; her sisters and brothers: Anne Marie (Romain LeBlanc) of Malauze, Gladys of Malauze, Rita of Malauze, Donald (Dorothy Barthe) of Malauze, Ronald of Malauze and Ernest (Cécile Parent) of Lac-des-Lys also by many members of the Johnson family, nieces, nephews and friends. She was predeceased by her husband Antoine, her parents, her sisters and brothers: Hazen, George, Eugène "Pilou" and Ernestine. Funeral mass will be held on Friday, March 22 at 4 pm in the Notre-Dame-du-Sacré-Cœur Church, Val d’Amour. Mrs. Simonne Johnson will rest at Savoie Funeral Home, situated at 47 Alexander St., Campbellton, on Thursday evening from 7 till 9 also on Friday from 2pm till time of funeral.